The summer months seem to be dragging on with the kids out of school. Can I get an AMEN from all the stay-at-home parents? In July we took a lot of trips, and worked on relaxing! For my wife’s birthday, we took a four day weekend and went to Traverse City, and Mackinaw Island! Was great to just get out of the house and relax! Then we came back and spent a couple of days with the in-laws at their cabin in Central Nebraska! Finally, we round out the month by hanging with my sister’s family at a lakeside resort in North Central Iowa! Feels good to be enjoying the freedom of having our house paid off, and be able to do these trips! In a way, we are pausing from any real savings and just enjoying our new found freedom. In the meantime, a buddy and I have been starting to talk about buying multi-family income properties from a local guy. It might not be until the springtime, but now is the time to get people and resources lined up! Pension – [2018 Goal $1308] [made $763 in 2018] – didn’t lift a finger this past month to cash in on my previous employer’s pension and collected $109. Sweet! Blog Income – [2018 Goal – $7500] – [made $3827 in 2018] – the blog income is going to take a sizable dip for a while. AirBnB has officially taken the lead as my primary alternative income source. AirBnB – [2018 Goal $10,000] – [made $5865 in 2018] – July was another healthy month, and AirBnB continues to be a workhorse for as my primary income stream! I am continually amazed at how helpful this income source has been to our family! It has me considering AirBnB’ing my own home next year after we buy another house. Peer-to-Peer Lending – [2017 Goal $25] – [made $12.58 in 2018] – this investment is continuing to cool off for me. I can’t get out of this investment fast enough and move onto investing in dividend stocks! Schwab Monthly Income Fund – [2018 Goal $25] – [made $7.31 in 2018] – my biggest month ever with this easy and simple income source. All of this money has been from selling eggs on the side! Cha-ching! This is my report of how I’m making side income and using that to pay off my mortgage. I’d be interested to hear what side hustles you’ve got, and what you are doing with your extra cash! Leave a comment below! Charlie and his wife use the 2 Checking Account System to manage their finances – check it out for free. 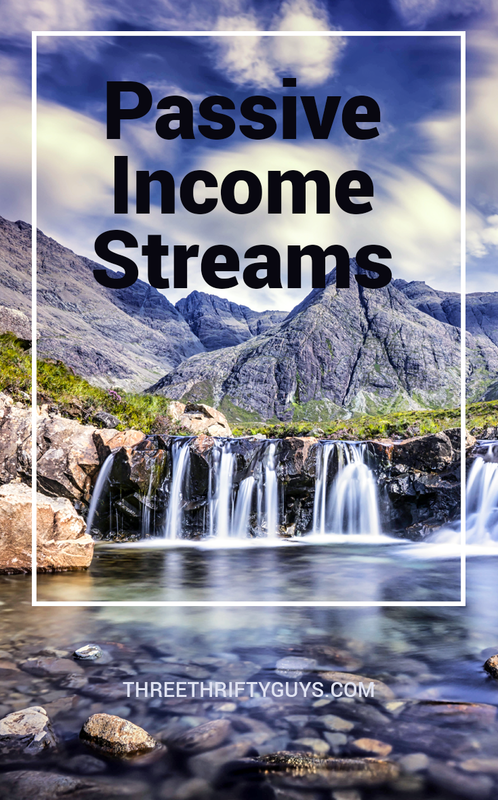 Check out Robert G. Allen’s book, Multiple Streams of Income, that Charlie recommends. Allen researched hundreds of income-producing opportunities and narrowed them down to ten surefire moneymakers anyone can profit from. Congrats on paying your house off! I am about 7 years behind you. Thanks. It is a great feeling!